NASHVILLE — Dozens of undocumented immigrant students from Chattanooga and other parts of Tennessee rallied Tuesday at the state Legislature and spoke with House members in hopes of reviving stalled legislation that would let them pay in-state tuition rates to attend public colleges and universities. The bill failed last year in the House by a single vote after passing the Senate overwhelmingly. Rep. Mark White, R-Memphis, has put the bill on notice to be heard today in the House Calendar and Rules Committee, where it was sent last year after failing on the House floor. It was unclear Tuesday evening whether White intends to proceed with a vote today. Among students advocating at Legislative Plaza on Tuesday were sisters Abril and Samira Gutierrez, whose parents brought them to the U.S. from Mexico. The sisters grew up in East Ridge. 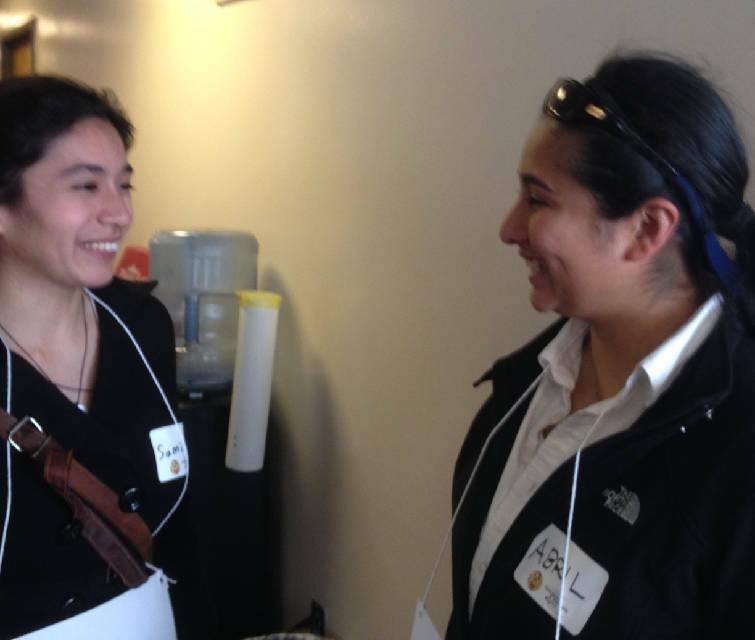 Sisters Samira, left, and Abril Gutierrez of East Ridge were among undocumented students who grew up in U.S. advocating at the Tennessee Legislature on Tuesday for in-state tuition bill pending in House panel. Photo by Andy Sher /Times Free Press. Abril Gutierrez, 25, said she attends Chattanooga State Community College, where she initially wanted to earn a degree in criminal justice but switched over to a one-year machine tool program because of the expense. "I pay three times the amount" than in-state tuition, she said. After earning her machine tool certificate and landing a job using her skills, she's now enrolled in a two-year mechanical engineering program but can afford to take only two classes per semester, she said. Her sister, Samira Gutierrez, 22, said she "kind of panicked" after graduating from high school and learning she would have to pay out-of-state tuition. She is interested in political science. Both have qualified for the Deferred Action for Childhood Arrivals program, which allows undocumented immigrants who entered the U.S. before turning 16 and before June 2007 to qualify for renewable work permits and be exempt from deportation efforts. The bill would apply only to immigrant students who are in the program. Sen. Todd Gardenhire, R-Chattanooga, who sponsored the Senate bill and passed it overwhelmingly last year, said, "I'm hoping they bring it out. Let's have a vote one way or the other." Earlier this year, Gardenhire said he was concerned the House bill could face more problems due to anti-immigrant sentiment stirred up by GOP presidential hopeful Donald Trump. 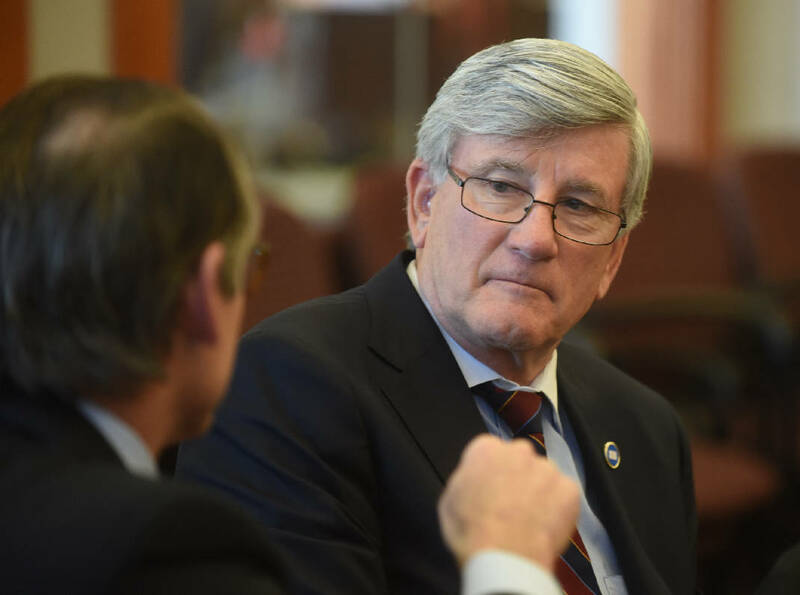 "I think there's a lot of fear out there of the angry voter," Gardenhire said. "Trump has made such a big deal out of the immigration issue. Whether you agree with it or not, I've tried to divorce myself and this bill from the national issues of immigration and just stick on do we educate these kids or not?" Legislative Democrats urged Gov. Bill Haslam to veto legislation that critics say could discourage people from filing civil lawsuits against state and local government officials in their personal capacity in cases involving alleged sexual harassment or even public corruption. 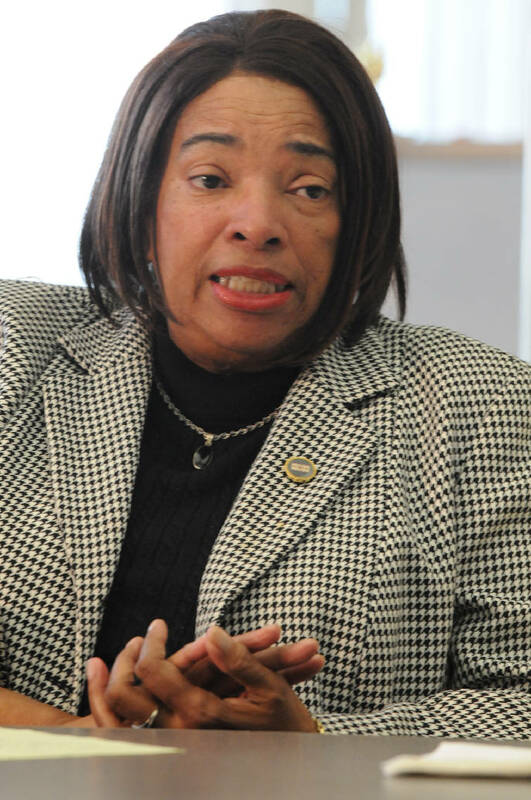 Rep. JoAnne Favors, D-Chattanooga, and other Democrats pointed out the bill would protect state legislators as well and alluded to Tennessee Attorney General Herbert Slatery's ongoing investigation of sexual harassment allegations against Rep. Jeremy Durham, R-Franklin. Durham is listed as a co-sponsor of the bill. "This bill causes me and other women great concern because it is regressive," Favors said at a news conference. Republican sponsors say the bill is intended to curb frivolous personal court claims against elected and appointed officials who allegedly acted outside their official duties. It would not bar lawsuits against the state or local governments. While the bill would provide plaintiffs filing such legal actions a window to withdraw frivolous claims, if they continue to press the lawsuits they would be stuck with paying legal bills if their claims did not succeed. The bill originated with Slatery. Senate Democratic Caucus Chairman Jeff Yarbro of Nashville said there are a number of cases in which the bill, should it become law, would apply. Among them is if a citizen files a personal lawsuit against a government worker alleging he or she acted in corrupt fashion. Meanwhile, a controversial bill restricting local governments' use of gas tax revenue for greenways, parks and in some instances bike lanes and other installations moved through the House Finance Subcommittee and later the full committee. The much-amended bill is still drawing opposition from bicyclists and the advocacy group Bike Walk, which hopes it has the votes to derail the Senate bill, sponsored by Gardenhire.